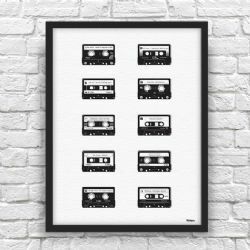 For every music lover... top albums, special mix tapes, favourite artists, festival memories and special tracks. 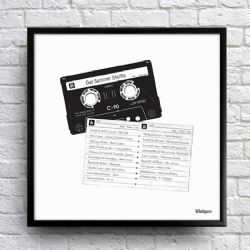 We'll print whatever you want onto one of our unique hand-drawn cassette tape prints. You supply your list and we'll do the rest to make this personalised fine art print that's bound to be a talking point in any home.